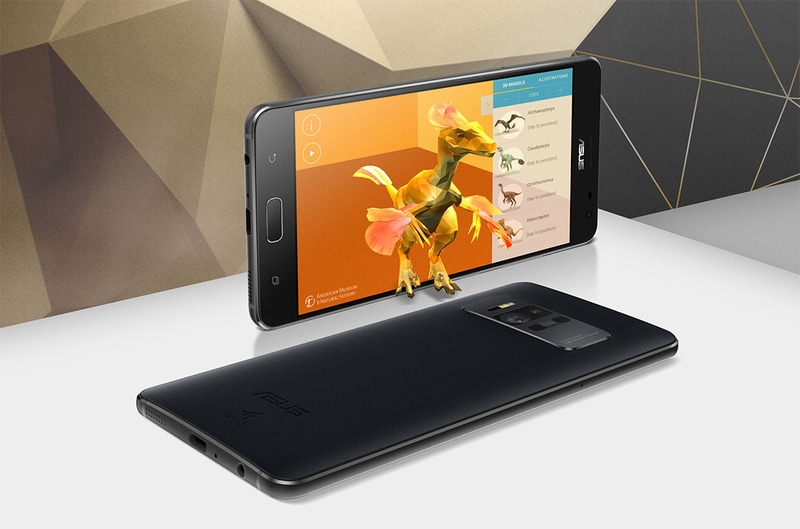 The ASUS ZenFone AR, a Google Tango-supported phone that was first introduced back in January at CES, has finally arrived in the US as a Verizon exclusive. We knew the phone was coming exclusively to Verizon because Google and ASUS told us as much back at Google I/O, but we thought it would happen sooner than this. Either way, we’re here! UPDATE: It’s now live and available for purchase without pre-order. Go ahead and buy this AR/VR beast if you want. The device isn’t officially for sale on Verizon’s main site just yet – you can pre-order it, though. 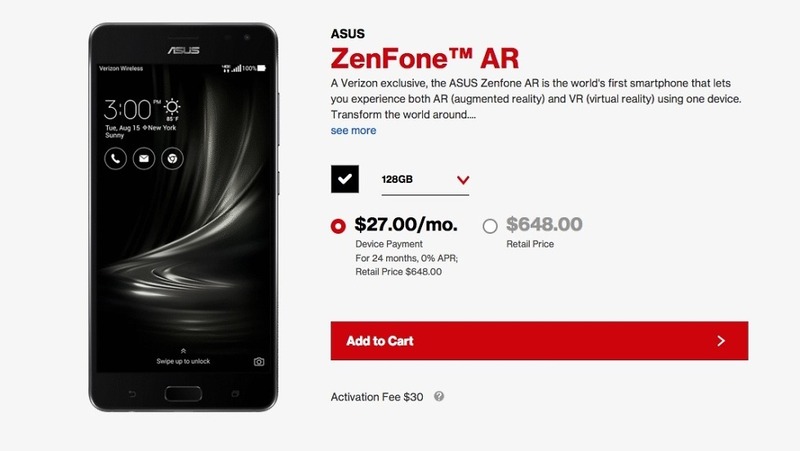 All you have to do is hit up that link below and the ZenFone AR can be yours for $27/month on a device payment plan or $648 full retail. That’s not a bad price for the capabilities here. As a recap, the ZenFone AR sports a 5.5-inch QHD AMOLED display, Snapdragon 821 processor, 6GB RAM (original model had 8GB – Verizon says theirs is 6GB), 128GB storage (with SD slot), 3300mAh battery, and all the damn cameras in the world. Remember, this is the first phone that supports both Google’s Tango and Daydream. It could be the ultimate AR and VR machine you’ve been looking for. The ZenFone AR has 3 cameras on the back, one for motion tracking, another for depth sensing, and a third that’s a high-res 23MP shooter. Wondering when the phone will ship if this is a pre-order? We could see the phone up for sale at Verizon’s site as early as tomorrow, according to a tipster. If you are worried about it, just give it a few hours. Verizon might post this bad boy live by midnight.